20 selected towns competed for the prestigious title of Best European Destination 2013. 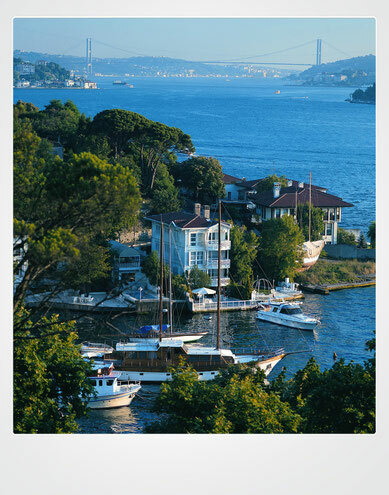 After a three weeks’ period of online voting Istanbul is elected the Best European Destination 2013 and won the title ahead of 19 big european cities. Lisbon (with only 439 votes behind the winner), Vienna, Barcelona, Amsterdam, Madrid, Valletta, Nice, Milan and Stockholm are the next best destinations for a holiday or city-trip in 2013. 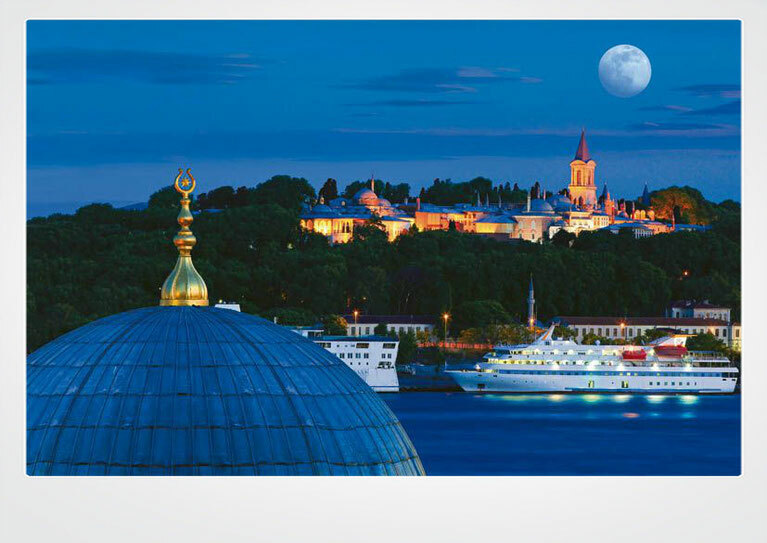 The only city in the world to straddle two continents, Turkey's fabled city of Istanbul is the historic crossroads between East and West, a city of minarets and palaces and the perfect choice for a refreshing city break. 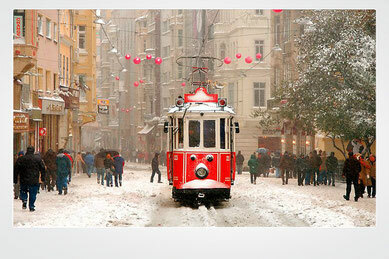 2013 will be a landmark year to visit Istanbul, marking the 90th anniversary of the founding of the Turkish Republic by Ataturk, with celebrations including the opening of the Marmaray tunnel under the Bosphorus linking Europe and Asia and the Ataturk Cultural Centre in Taksim. The good weather and long days are an irresistible invitation to discover and experience the city with a relaxed and leisurely walk of its seven hills, taking breaks at the various sightseeing spots along the way. The viewpoints of Graça, Senhora do Monte, Santa Luzia, São Jorge Castle or São Pedro de Alcantara are just some of the scenic spots of Lisboa, where you can admire the most beautiful panoramic views of the Portuguese capital, also known as "Cidade da Luz Branca" (City of White Light). Vienna invites you to participate in comprehensive enjoyment in 2013: the coffee house, Viennese wine and Viennese cuisine stand for the enjoyment culture of the city on the Danube. Vienna is also globally known as a metropolis of art and culture. No fewer than three new cultural institutions are set to enrich the city in 2013: the Chamber of Art and Wonders in the Kunsthistorisches Museum shines with a new splendor, the MuTh – the new concert hall of the Vienna Boys’ Choir in the Augarten invites visitors to regular performances, and the Stadtpalais Liechtenstein offers art of the Biedermeier and Classicism periods. In Barcelona, you don't have to choose between going shopping or sightseeing. Wherever you go, you'll see that shops are part of city life. And while you discover unforgettable sights, you'll be welcomed by the window displays of leading international brands, modern designer shops and traditional shops that have been there since time immemorial. It's likely you've seen a picture of Amsterdam's winding waterways. Perhaps you've heard it's home to almost as many bikes as residents. Or maybe you're aware of its tolerant and laid-back atmosphere. But there's more to Amsterdam than meets the eye - here are five things you probably didn't know about the city. The Spanish capital makes everyone feel right at home while providing them with some of the world’s most interesting tourist attractions. Europe's smallest capital it may be, but Valletta has the vibrancy and diversity - not to mention the rich cultural and historical offering-of a city many times its diminutive size. Valletta's most compelling charms come to you slowly, in snippets: during a lazy walk through its tangled sun-bleached streets, where you'll catch a glimpse of the harbors through silhouettes of 16th-century homes. London is a diverse and exciting city with some of the world's best sights and attractions. With so much to do, it's hard to narrow down the long list of reasons to visit, but below you'll find some of them. Paris is one of the world’s few really legendary capitals. Far from resting on its laurels, the French capital has taken a pro-active approach to enhancing its appeal by undertaking a quality-focused and sustainable development strategy based on constant innovation. This great city is a blend of past and future. Prague has been considered as one of the most beautiful cities in the world since Middle Ages. Adjectives such as “golden“, “city of a hundred spires“, “the crown of the world“ were attributed to Prague, which is located right in the heart of Europe. And how to get the city into your heart? Try with us to wander not only in the Historic Centre of Prague that has been on the UNESCO World Heritage List since 1992 and with its 866 hectares is the largest historic city centre on this list in the world, but also in the vibrant cultural metropolis. Brussels, the capital of 500 million Europeans, is waiting to share its treasures and talents with you and to tell you its story. It has an ability to adapt to its visitors: no matter when you come, there’s always something happening here; no matter how long you stay, there are several different ways to experience Brussels, each with some brilliant surprises in store. A multicoloured heritage of the most diverse styles, a contagious creativity tinged with surrealism and humour, a sociable and epicurean art de vivre. Munich is Germany´s leading tourist city. It is especially for foreign guests who love the Bavarian capital. Munich was founded in 1158 and was given the status of a town in 1214. In 1255 Munich became the residence of the Wittelsbach dynasty. Under King Ludwig I famous buildings were erected: the Glyptothek, the Old and New Pinakothek, the enlargening of the Royal Residence, the Feldherrnhalle, Siegestor (Triumphal Arch) etc. thus turning Munich into a major cultural centre in Europe. Steeped in history and youthful energy, Dublin is a medieval city where the charming and cosmopolitan converge in delightful diversity. Fine museums and art galleries chronicle Dublin’s long and colourful past, while the pubs and cafes buzz with traditional and contemporary entertainment.